Knee high boots are perfect for fall and winter days. Stiletto knee high boots can be styled with dress or skirt for a polished urban style. Or pair the block heel straight cut knee high boots with your favorite jeans for a rugged country look. 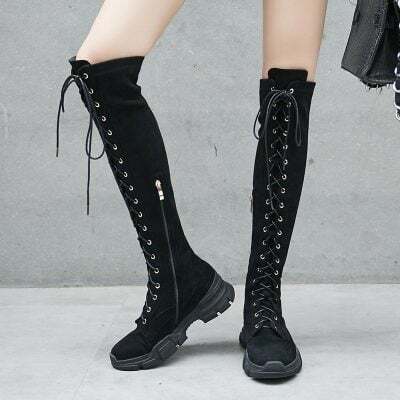 At Chiko Shoes, we offer a variety of knee high boot styles for your winter days to keep you warm and stylish.